In the first part of this series of articles, Gail showed how to find the procedures that contributed most to performance problems. In this final part, she shows how to use query statistics to pinpoint the queries that are causing the biggest problems, and then use the query execution plans to find out which operations are the root cause. With this information one can select and modify the indexes that can optimize the plans and therefore performance of the query. In Part 1 of this 2-part series, I took a fictional problem, in which I was the DBA responsible for maintaining an internet forum. The forum was performing poorly due to a lack of indexing. I showed how to use server-side Profiler tracing to capture the queries and stored procedures that represented a typical Server workload. 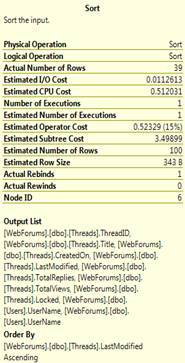 By aggregating, at the stored procedure level, the execution statistics from the Profiler trace, I was able to identify the three worst-performing stored procedures. Here, in Part 2, I’m going to take apart these procedures, and identify the queries within them that are having the biggest impact on performance, and why. Having defined the main problems, I’m going to investigate how to make the queries run faster, by implementing appropriate indexes. Finally, I’ll review and report on the performance improvements observed when the changes are deployed to production. If you’d like to work through the example, you’ll need to download the WebForums database, which you can find a link to at the bottom of the article. NOTE: You may not, for a number of reasons, see the same performance values, or execution plans, as I have reported in the article. Firstly, my tests were performed on SQL 2008, and you may see different plans on other versions. Secondly, data volume may well affect the plans; my original copy of the database has 180 000 records in the Threads table and 1.2 million in the Posts table, whereas the copy provided with this article has 2500 and 75000, respectively. The statistics from Part 1 suggest that the performance impact of the first two procedures, ViewThread and ViewForum, is far greater than AddPost, both in terms of query duration and IO load. Statistics IO – this will show me all the tables that the procedure is reading, how many times each table was scanned and how many reads were done. Execution plan – this will show me how the steps that the storage engine took to execute the query, and the estimated cost of each operation that comprises the plan. NOTE: It is worth noting that, regardless of whether you view the estimated or actual execution plans, the costs are estimates. See Grant Fritchey’s blog post for further details. For more general information on Execution Plans, see Grant Fritchey’s e-book, my blog series on Execution plans, and the book “Inside SQL Server 2005: Query Tuning and Optimisation” by Kalen Delaney, et al. I’ll start the investigation with the worst offender, ViewThread, which had the longest duration and the highest IO. I need to find out which of these queries are causing the biggest problems. In order to do this, I need to execute the procedure in a development environment, using a representative set of sample parameter values, in this case for ThreadID and UserID. These parameter values can be obtained from the Profiler trace. You’ll occasionally find that a stored procedure exhibits different performance characteristics, depending on the parameter set that is supplied. In such cases, you’d need to test the stored procedure with each set of parameters that gives rise to distinct performance characteristics. In this case, however, the procedure appears to perform much the same regardless of the parameters supplied. Specifically, there is little difference in the number of reads for different parameter values, so I can pick any entry from the Profiler trace. Figure 1 shows how I executed the stored procedure in Management Studio. First, I activate query statistics, either by typing the options, as shown, or from the Query Options dialog which is accessed from the Query menu in Management Studio. I then run the procedure within a transaction, issuing a rollback at the end. This is to ensure that I don’t change any data that could cause later tests to have different performance characteristics, or even to fail altogether. Having generated the detailed execution characteristics for the procedure, I can map each set of characteristics to the individual queries within the procedure. With only 4 queries, breaking down which of the IO and time statistics belongs to each query is relatively easy. With larger or more complex procedures, especially ones with control flow statements, it may not be as simple. One trick is to modify the stored procedure (in the dev environment) and add print statements before and after each query within the procedure so that it’s very clear which IO and time stats are associated with which query. CPU time = 2563 ms, elapsed time = 2615 ms.
Table 'Users'. Scan count 1, logical reads 6, physical reads 0. It’s readily apparent that the main problem with this stored procedure is that third query (Retrieve thread details). It performs over 18K reads of the Posts table, and has the longest duration and highest CPU time. Furthermore, the estimated costs shown in the execution plan indicates that it contributes 100% of the cost of executing the entire procedure. The immediate issue I have is that this is a “SELECT *” query, so it is going to be very difficult for me to create good indexes. I pay a visit the developers to find out exactly which columns they’re using from this procedure. It transpires that while they are returning all the columns, they only actually need five of them. I modify the procedure to return only those fields and, when I run it again, the execution characteristics are unchanged, but the smaller number of fields means that I’m more likely to be able to create useful indexes. I can’t see any other changes that I could make to the code to make it more efficient, so I move on to take a closer look at the execution plan for this query. My first goal is to identify and examine the highest-cost step in the plan. In this case, I don’t have to look far. If I read the execution plan from right to left, the first operator that I see is a clustered index scan of the Posts table. In other words, every row of the clustered index (in this case the primary key) is being read in order to identify the rows that the query needs to return. This operation represents 100% of the cost associated with executing the query, and also explains the very high number of reads of the Posts table that we saw in the IO statistics. So, I now know what the problem is. Later in the article, I’m going to analyse further to see if an index would be appropriate for this query and, if so, which index. However, first, I want to take a look at statistics and execution plans for the next procedure, ViewForum. Table 'Users'. Scan count 0, logical reads 2, physical reads 0. CPU time = 0 ms, elapsed time = 32 ms.
Table 'Threads'. Scan count 1, logical reads 3263, physical reads 0. Table 'Users'. Scan count 2, logical reads 12, physical reads 0. Table 'Forums'. Scan count 0, logical reads 2, physical reads 0. CPU time = 484 ms, elapsed time = 749 ms. I can see immediately that the second query in the procedure is cause of the problem, as the optimizer estimates that it contributes 100% of the cost of executing the procedure, and because of its IO impact and duration. The query appears to be well-written and, as such, there are no changes that I need to make to the code before considering how indexes might help optimize the execution plan. Another clustered index scan on the Users table, again returning all the rows in the table and returning the same columns as the scan detailed in step 1 did. A hash match join joins the resultsets returned from the scans of the Users (step 1) and Threads (step 2) tables. Hash match joins are quite expensive joins, because of the memory they use to create the hash tables. If possible, I’d like to see this replaced by a less expensive join, but to do that I need to reduce the number of rows that are joined. Hash joins are the most efficient joins for large result sets. If I just added a join hint here to force it to a nested loop, I’d very likely make the query performance far, far worse. A clustered index seek on the Forums table. The seek predicate is based on the ForumID column and returns just one row. I’m not going to worry about this. A clustered index seek is quite efficient and, since it only returns 1 row I’m not going to be able to make it any more efficient than it already is. A sort on the ModifiedDate column. The sort is there so that SQL can evaluate the row_number function that’s listed within the SELECT clause. (ROW_NUMBER() OVER (Order By ModifiedDate). The estimated cost of this operator is 19% of the entire query. That makes it the second-highest cost operator in the entire query. Hence a secondary objective for me will be to see if there’s any way I can remove the need for this sort. A nested loop join. This joins the result of the clustered index seek on the Forums table (step 6) with the output of the sort (step 7). I’m not concerned about this. The estimated operator cost is 0% and a nested loop is an efficient join when one or both of the inputs have a small number of rows, which is the case here. The Segment operator is one of the operators that calculates the row_number function. The Sequence Project is also involved in the calculation of the row_number function. The TOP operator partially implements the filter on the ThreadNumber (the name given to the calculated column based on the row_number function) that’s specified in the outer query (WHERE ThreadNumber BETWEEN @PageNo*20 AND (@PageNo+1)*20-1). The Sort operation, from step 7, left the resultset ordered by the ModifiedDate column, which is the same column that’s used to derive the row_number that’s used in the BETWEEN predicate. This means that this BETWEEN predicate can be partially implemented using the TOP operator. Specifically it can eliminate rows beyond the upper range of the BETWEEN clause. The Filter implements the rest of the filter on the derived column ThreadNumber. So, in summary, my primary goal for this query is to eliminate the clustered index scan on Threads (step 2), and my secondary objectives are to remove the sort (step 7) and to convert the hash joins (steps 4 and 5) to less expensive joins. At the end of Part 1 of this article series, I had a list of stored procedures that I needed to “fix”. At this stage, I have now drilled down to a much more detailed level, and I now know the actual queries that are causing the issues, along with the specific operations being performed during the execution of these queries that are generating the heaviest workload on the server. 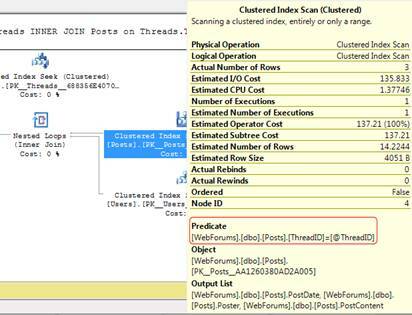 The clustered index scan on the Posts table – by implementing an index, we will hopefully see this replaced with more-efficient seek operation. The clustered index scan on the Threads table – again, I would like to see this replaced with a more efficient seek operation. The predicate that is applied to the rows that the scan returns is on the ThreadID column. Since that’s the only filter that’s listed and the number of rows returned (3) is much lower than the total number of rows in the table (1.2 million), it seems like a very good candidate for a first try at an index. Table 'UserLevel'. Scan count 0, logical reads 6, physical reads 0. Table 'Users'. Scan count 0, logical reads 6, physical reads 0. Table 'Posts'. Scan count 1, logical reads 15, physical reads 0. Table 'Threads'. Scan count 0, logical reads 3, physical reads 0. From 184012 logical reads on the Posts table, and a CPU time of 2563 ms, down to 15 logical reads and 0ms. Not bad. 27 ms duration and 15 logical reads is well within the realms of acceptable performance for this query. One of the columns that the query uses, specifically PostContent, is a VARCHAR(MAX) column. While a VARCHAR(MAX) column can be used as one of the INCLUDE columns of an index, doing so will cause the entire content of the VARCHAR(MAX) column to be stored twice; once in the table and once in the index. Since this is the largest table in the database, that’s going to increase the size of my database significantly. I’m going to make a note that, should performance problems arise again with this query, the widening of the index can be considered. For now though, I’m going to call this query done and move onto the next one. Figure 12: The index on ForumID does not affect the execution plan. Once again, our index is not a covering index, as if does not contain all the columns used in the query. However, whereas before the query was highly selective and the index got used regardless, in this case the predicate matches 19113 rows out of a total of almost 190000, and so the index is not selective enough to be used. I could simply make the index covering by adding, as INCLUDE columns, all of the columns listed in the Output List of the clustered index scan. That would at least ensure that the index is used, but it may not be the best solution. Given that this query uses all but one of the columns in the Threads table, if I include them all, I’m going to be making the index very large, almost the same size as the table itself. It is an option, if I can’t find any other way to make the query fast. However, I’m going to try a few other tricks first to see if adding any of the columns to the index key will reduce the number of rows processed by the index seek . Figure 13: The two joins to the Users table. Maybe if I add the CreatedBy and LastPoster columns to the index key, it will persuade the optimizer to use it. Unfortunately, when I rerun the query, I see that, once again, the execution plan is unchanged. 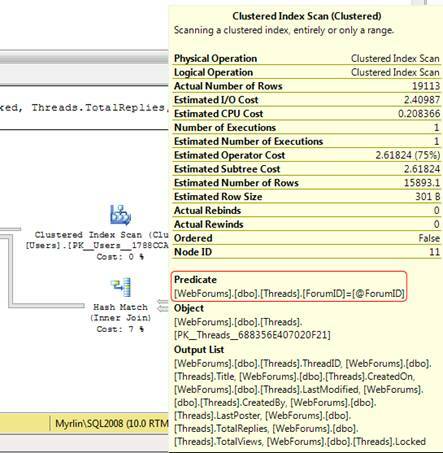 I’ve still got a clustered index scan on the Threads table. Ok, so that didn’t work; one more attempt before I add all the columns as INCLUDE columns. There’s another predicate on this query, namely the BETWEEN predicate on the ThreadNumber column (see Listing 4). I can’t add that column to the index, because it’s a computed column and, in fact, it’s a row number ordered by the LastModified column. However, I might be able to get SQL to eliminate some rows earlier than it is doing currently if the LastModified column is part of the index key. Figure 14: Properties of the Sort operation. If I add LastModified to the non-clustered index on ForumID and SQL uses that index then, after the filter on ForumID is done, the rows will already be sorted by LastModified and an explicit sort won’t be required. Figure 15: The execution plan now shows an index seek and a key lookup. The change of the join type is due to the reduced number of rows being processed. Hash joins are efficient for joining very large numbers of rows, which is why they appeared in the previous execution plan. With an efficient index the number of rows returned is lower and hence the number of rows that the joins have to process is much reduced and so the nested loop join can be used instead. The nested loop is only efficient on small numbers of rows and hence the Query Optimiser will never select it when the number of rows being joined is very high. Table 'Users'. Scan count 0, logical reads 720, physical reads 0. Table 'Threads'. Scan count 1, logical reads 564, physical reads 0. That’s better. I’ve reduced the logical reads on the Threads table from 3263 to 564, although I have also increased the logical reads on the Users table from 12 to 720. However, I have also reduced the CPU and elapsed times to virtually zero. Figure 16: The final execution plan. Table 'Threads'. Scan count 1, logical reads 8, physical reads 0. That’s much better. I’ve reduced the IOs on the Threads table to 8. The IOs on the Users table are still at 720 but I don’t think that will be a major problem. There’s not much I can do about it, because the two operators that read from the Users table are both clustered index seeks. The high number of reads is because, in both cases, Users is the inner table of a nested loop join and hence the seeks on that table must be executed once for each row returned from the Threads table. I’m going to leave this as it is for now, if there’s a problem in future I’ll probably have to rewrite the query as there’s no more I can do on the indexing side to reduce the reads further. I’ve optimised everything I set out to optimise and the queries are looking pretty good when run by themselves in dev, so now I need to take them through testing and get them deployed to the production environment. Once I’ve implemented those index and procedure changes in production, I need to capture a new Profiler trace, to see what kind of effect, if any, they’ve had on the overall server performance. In order to this, I’m going to rerun the trace that I initially used to find the server’s workload (see Part 1), import it into a database table and re-analyse the data. To ensure that the comparison is meaningful, I’m going to run the trace at the same time I did before, and with the same trace duration. Not only has the time impact and IO impact dropped significantly compared to the initial measurements, but also the execution count has more than tripled, indicating that the application has a far greater throughput after the optimisation than it did before. As a bonus, the procedure AddPost, which I decided not to look at, is running significantly faster as well. This is probably due to a decrease in blocking. Since the queries that I optimised read from the Posts table and are now much more efficient, the locks they take will be held for a shorter time. That means that the procedure AddPosts that writes to that table will have to wait less time to obtain a lock and hence will run faster. Now that looks like a nice spreadsheet to hand to management come review time! Aggregate at the stored procedure level the execution characteristics, provided by the trace, in order to find the stored procedures that are having the most impact on the system. Use query statistics to pinpoint the queries that are causing the biggest problems, and the query execution plans to find out which operations are the root cause. Identify the indexes that can optimize the plans and therefore the overall query execution. It’s probably apparent at this point that finding good indexes for a query is partially art and partially science, and a lot of trial and error. Identifying good indexes requires knowledge of how indexes work and how SQL uses them, knowledge of the application and the data, and a fair amount of patience. 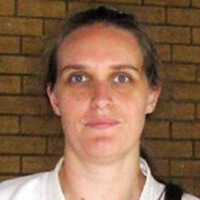 For further information on how SQL uses indexes, see this short blog series, anything index-related on Kimberly Tripp’s blog and the recently released book “SQL Server 2008 Query Performance Tuning Distilled” which devotes an entire chapter to index selection. The final point to note is that, in these examples, the queries were all quite well written and, as such, did not need extensive modifications. More often, however, performance tuning is a mixture of fixing the code and tuning the indexes. Fixing the code could entail anything from converting cursors into set-based code, to tweaking the WHERE clause so that it’s SARGable, to removing redundant queries. But that’s a topic for another article! Thanks for the well written peek inside your optimazing mind! I dont get it… Where are the ads on this site? There aren’t any ads. We think that ads are distracting. 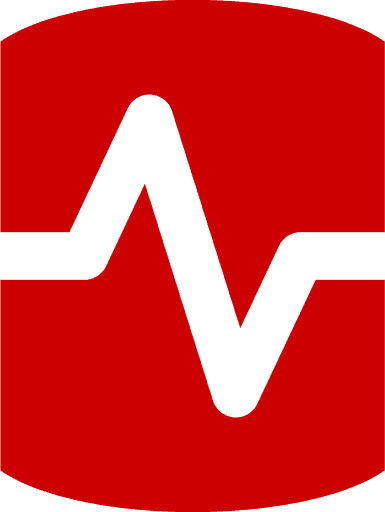 The funding for Simple-Talk comes from Red Gate software. It is a surprising overhead when names are not owner qualified. SQL 2000 was really bad, some improvements in 2005 onwards. See: http://sqlblog.com/blogs/linchi_shea/archive/2007/07/05/performance-impact-of-procedure-calls-without-owner-qualification-sql-server-2000.aspx for more details. Love the practical tips Gail. Keep the articles coming. These 2 articles teach in just a couple of hours what others take 2 or more days to teach. Absolutely outstanding. Thanks for taking the time, Gail. Did you run the stored procedures in SSMS 2008, and did SSMS recommend ANY “missing index”? If so, any index same as your indexes? Really most usefull information i read, keep it up. Like the paractical tips of Gail.Do post. Jerry, I ran all of these in 2008’s management studio. I just edited out the missing index line when I put the screen shots together because I didn’t want it to confuse the issue. There were missing indexes on both of the initial queries. The index recommended in the first case had the same predicate as the one I suggested, but was covering, complete with the VARCHAR(MAX) column. For the second query SQL recommended a covering index with just the forumID in the key. The missing index info’s there in SQL 2005 as well. It’s buried in the XML of the showplan. The danger in jumping straight to the operator with the largest % is that the percentages are estimates and can be completely and totally wrong. I didn’t really touch on that here, I think I need to write something on spotting bad estimates…. An excellent followup to the original answer. I particularly like the fact that although you are using a synthetic problem as the basis of an article, it still seems quite realistic. Particularly the conversations with the developers! I also like the fact that the examples you have given of poorly performing code are also things I have seen in the real world. I feel that you did an excellent job of selecting realistic examples. There were a couple of areas where I think the text could have used better editing and proof reading (missing or incorrect words), but I think even the best of professional authors face that issue! So that’s not really a critism. I like the pacing and the way you methodically work through what needs to be done. Great article! Well written, easy to follow examples, great explanations. Thank you! Your rewrite is probably what I would do if there’s a future problem, but short of rewriting the query, there’s nothing to be done, and the main focus of this article was fixing indexes, not rewriting queries. But again, IF you rewrite the query the way I am suggesting – you can remove CreatedBy and LastPoster from the index (and that is better on the indexing side, right? :-)). I can’t believe you really like a nonclustered index covering 9 columns out of total 11 in a table. As a result you would have much smaller index and still get better/less reads. I don’t like a covering index on 9 of 11 columns. I said as much in the article. However without rewriting the query, which as I mentioned was beyond the scope of this article, it was the only option for getting the reads to an acceptable level. Table ‘Threads’. Scan count 1, logical reads 3557, physical reads 0. Table ‘Users’. Scan count 2, logical reads 12, physical reads 0. Table ‘Forums’. Scan count 0, logical reads 2, physical reads 0. Table ‘Users’. Scan count 0, logical reads 80, physical reads 0. Table ‘Threads’. Scan count 1, logical reads 3617, physical reads 0. An increase of 60 on the Threads table and 68 on the users table. That’s with just the CreatedBy and LastPoster columns removed from the include. With the rest of the include columns dropped as well, the exec plan goes back to the one that I showed in the article (maybe the wider but noncovering index was evaluated as less efficient than a clustered index scan), and the exec stats go to this. The execution times for the two are identical. Oh, and I should mention that I’ve deleted data since I wrote this, that’s why the reads are lower than the ones in the article. Again – a great-great-great article! Many thanks! Agreed – this discussion is beyond the scope of the article. 1) Yes it is. Whether that’s significant or not, whether it’s a problem or not is not clear. There’s no hard and fast rule as to when an index is too wide. It has to be evaluated in context of the app and in the context of the queries using the index. 2) Yes it does, because SQL’s using the Modified date to push a kinda TOP predicate down into the index seek and the higher the PageNo, the larger the number of rows allowed by that TOP. 3) Not in my tests. I have the number of reads on Threads slowly increasing as the page no increases. That may be a virtue of different data. The version you downloaded is much smaller, even after I cut mine down a bit. It’s increasing slowly because the index is much ‘denser’, but it is still increasing. The reads on Users won’t change, because it’s joined in later after all the filters on the threads table are done. I’ve struggled through books on interpreting plans, and this article beats them all. I really like the clear way you step through the plans, explaining how they relate to the query. I did get a bit lost towards the end of the “Indexing the Post Table” section – I’m not sure where the Bookmark lookup came in, or how you could tell that from the plan. Great Dissection of Execution Plan! Thank you Gail for a great article. I have really liked the way you have dissected each operator from the execution plan, analyzed and suggested solution by trials with good reasoning.The article cleared up lots of ambiguities that I had working with big execution plans like these. How to retrieve the stored procedure for your procedureName, so that i can proceed to view its statistic and execution plan. Thank you for for this superbly written, pragmatic article. I have never met a project manager yet that wants to change the code. So you article reflects the real world as we know it.